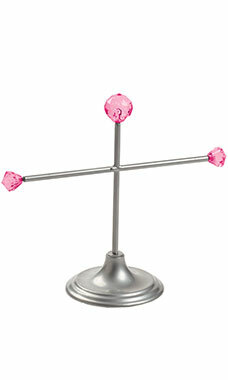 The Small Silver T-Bar Jewelry Display with Fuchsia Gems is a great way to display your necklaces and bracelets. Use these Silver Metal Jewelry displays to show off those new jewels and chains. Great for countertop display. Display includes three fuchsia accent gems.